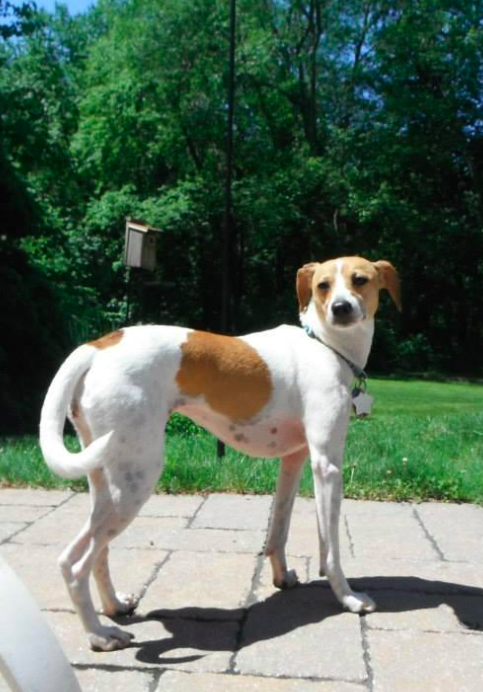 I admit that I'm an overly concerned dog mom; my little pup has me whipped from her pedestal. So you can only imagine how I felt when I saw my furry little baby's paw pads bleeding after a long run outside. 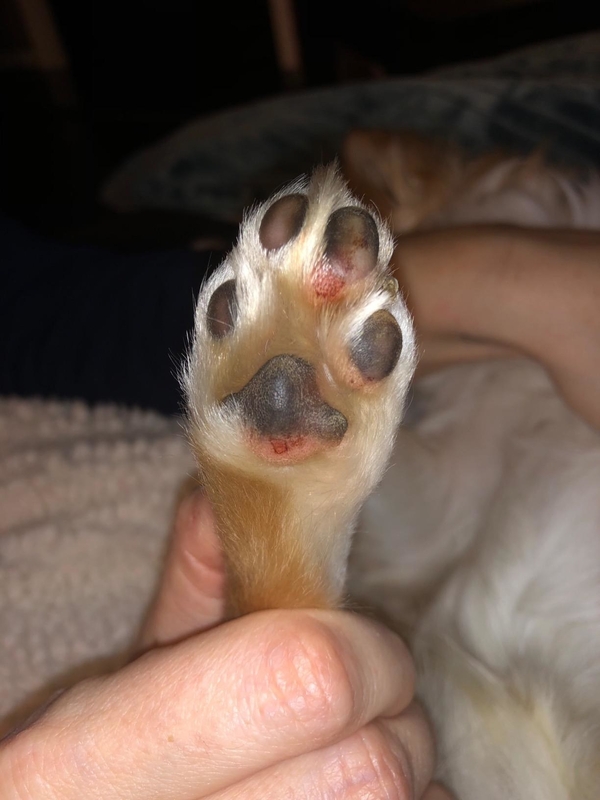 Frantically texting "SOS" to my friend who's a vet while I browsed the web for remedies to treat torn paw pads, I stumbled upon Musher's Secret Paw Protection Wax. It has truly been a blessing and a game-changer — simply too great of a product to keep it a secret! 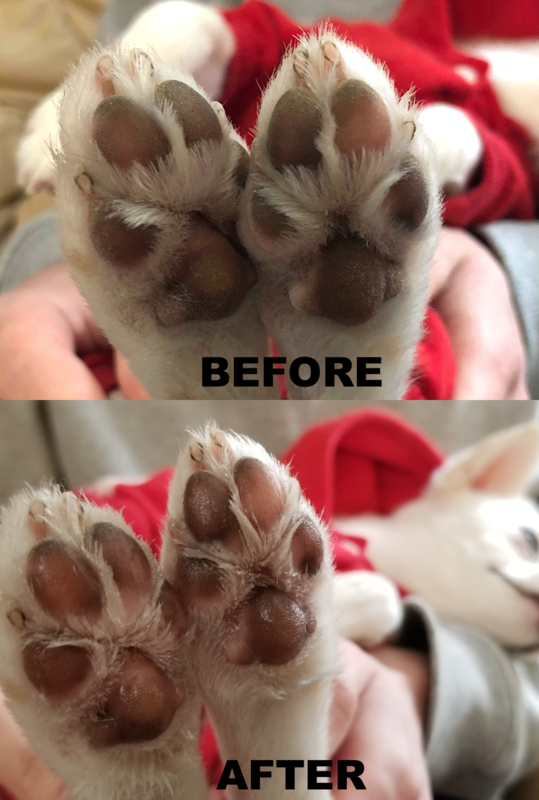 Before applying Musher's, my pup's paws felt like sandpaper. Seconds after massaging the wax into her paws, I could clearly see and feel the difference. Just look — her paws were GLISTENING! As a bonus, it's super easy to wipe off excess wax along with outdoor debris with just a wet wipe after walks to prevent (cute but troublesome) paw prints in the house. Musher's Secret Paw Protection Wax is all-natural, so it's completely safe to apply topically and for your pets to lick sparingly. Infused with vitamin E, it can be used to heal wounds as well as used regularly as a "paw lotion" to keep them soft, moisturized, and strong. Musher's was designed in Canada for dogs that lived in snowy conditions that led to damaged paw pads. 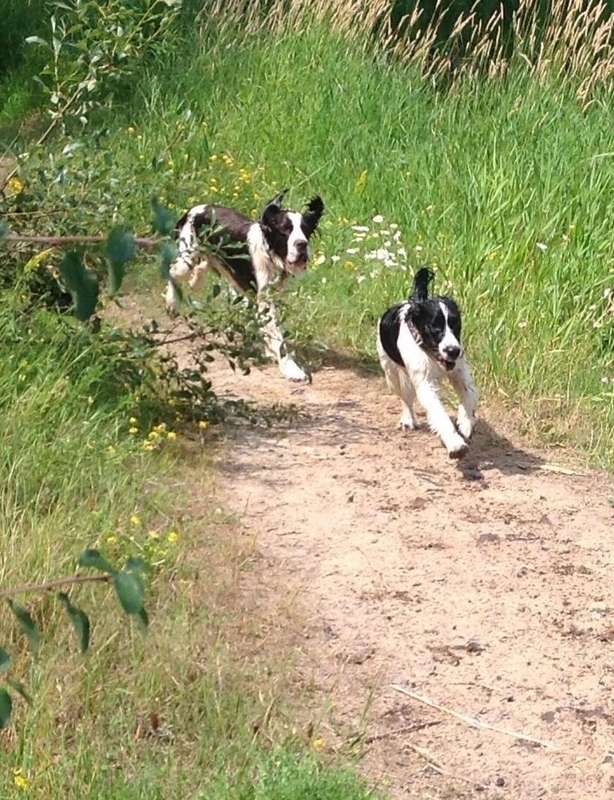 Turns out, Musher's works incredibly for every single one of our four-legged friends, even those who don't live across the border! Not only is it great for cold-weather conditions, but it's also effective in warmer climates, where the pavement can get seriously hot. 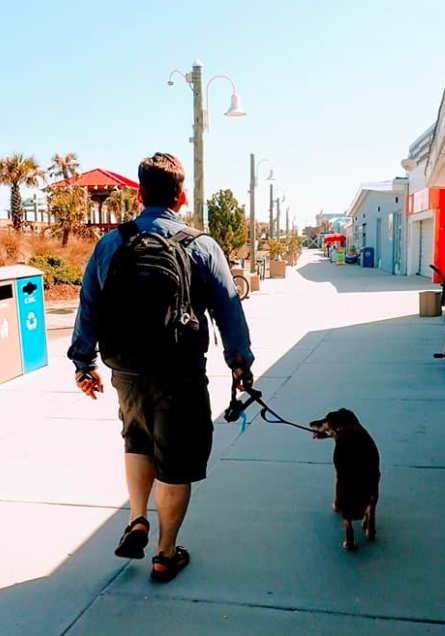 Think of Musher's as "invisible shoes" for your pets that create a barrier between them and any harsh conditions that can harm their delicate paw pads. My dog goes so crazy when she runs off-leash, she tore up her paws multiple times before I finally found our paw-saver, Musher's! Now, I apply it as part of our daily routine to keep her paws nice and healthy. And over 3,000 pet parents trust Musher's Secret, so you can have peace of mind knowing your pup will be in good paws — er, hands — with this stuff. "I've been a professional dog groomer for 10 years, and I use this product all the time. 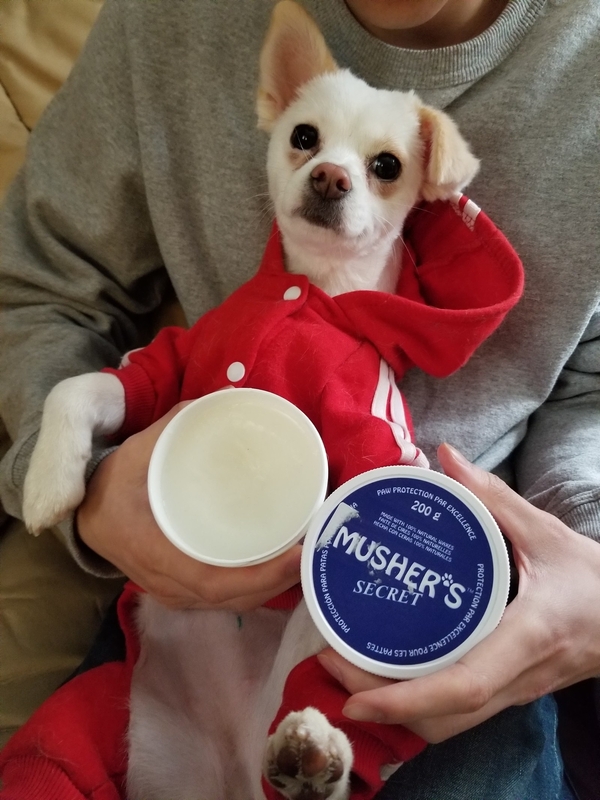 Here's everything you need to know: I use Musher's Secret to protect paws both from the salt and cold in winter (snow and ice stick to their fur between paw pads and can cause frostbites; Musher's Secret helps prevent the ice and snow from sticking). It also helps protect paws from the hot pavements in the warmer seasons. This doesn't mean that you can let them walk on burning hot pavement if they have this on, it just helps to prevent the pads from drying out and becoming damaged and uncomfortable. Snow, ice, and salt on the ground in the winter can lead to discomfort and ice forming on the fur in between your pet's paw pads. The cold, dry air can also cause their paws to crack and bleed. 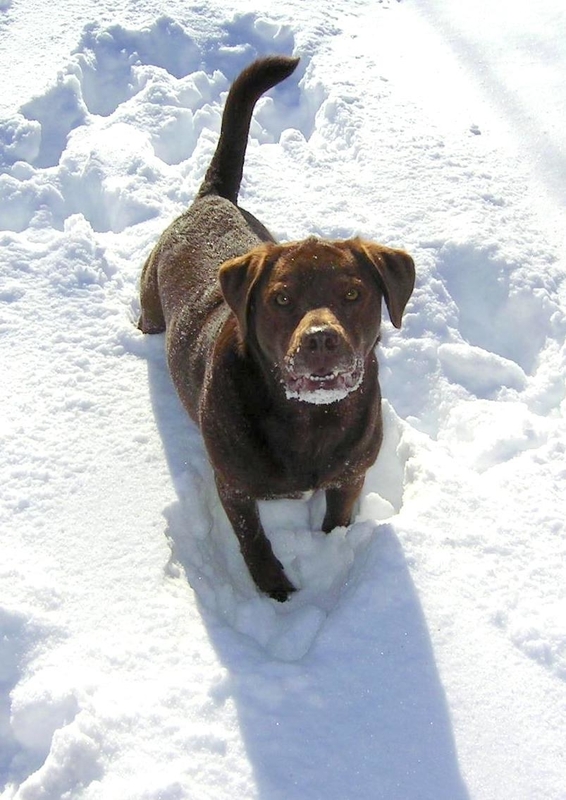 Applying a thin coat of Musher's can help your pup *break the ice*. If your pets have webbed feet, make sure to get in between their toesies as well! "This stuff is PAW-some! 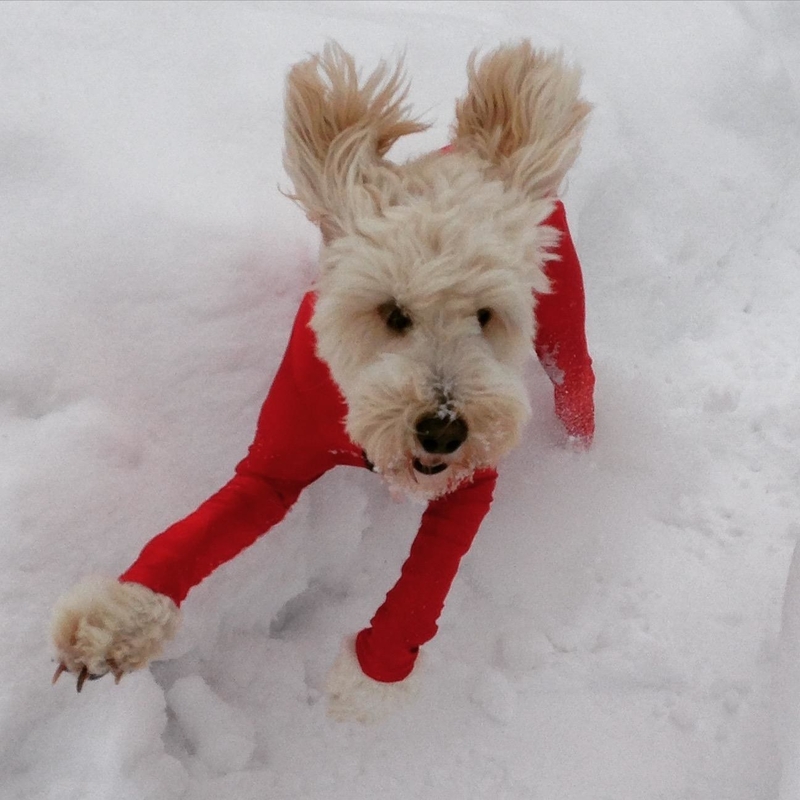 Our golden doodle loves to play in the snow. 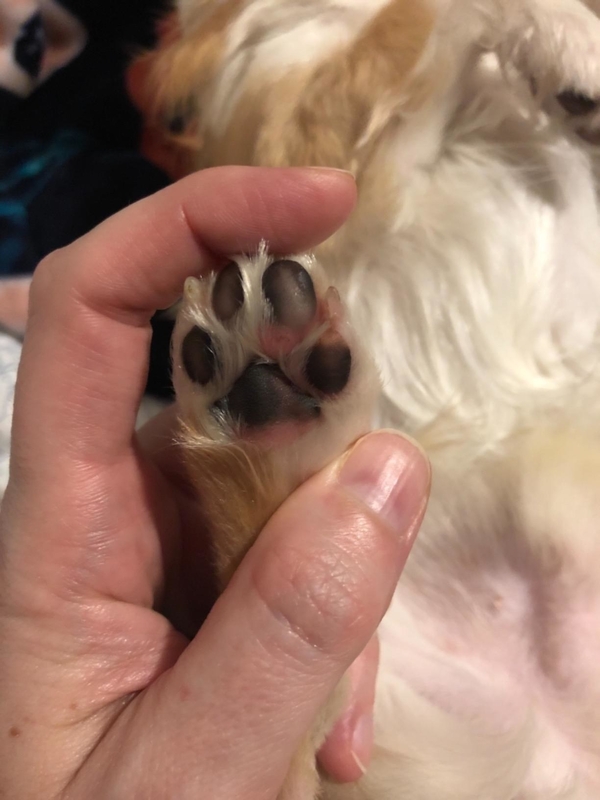 Applying a bit of Musher's Secret Pet Paw Protection Wax on her paws before she heads out makes for a much more comfortable playtime for her. Now, when she returns from zooming around the yard, a quick wipe with the towel and all the snow/ice just drops off her paws like magic. It's especially important that the product is nontoxic and it doesn't leave paw prints around the hardwood floors." —Claire W.
Hot pavements can be just as damaging to their paws as cold winter days. Imagine walking on scorching sand on the beach without shoes! 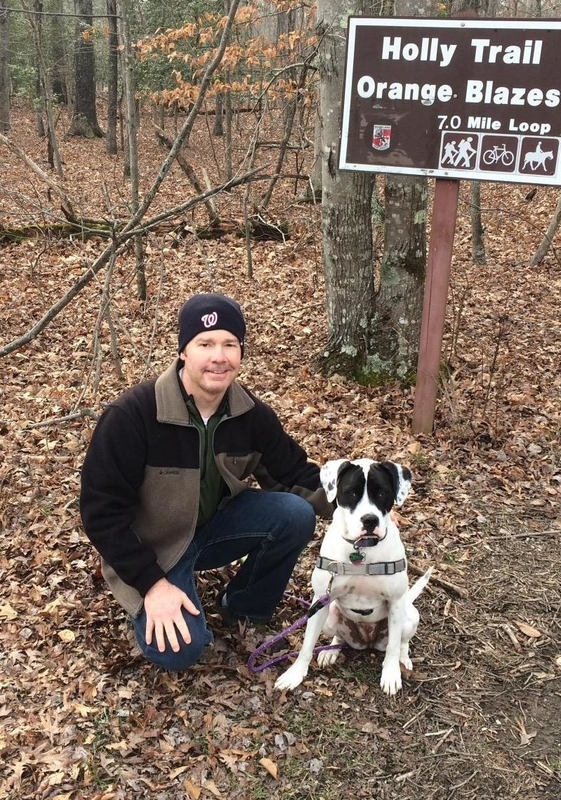 You might also want to apply Musher's before long walks, hikes, or any other outdoor activities to reduce the chance of your pup's paws getting cut, chaffed, or blistered. 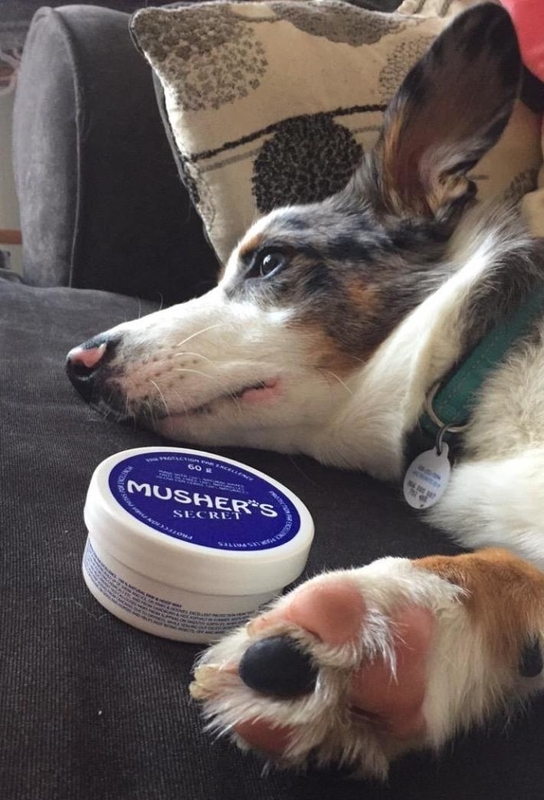 In addition to being a protectant, Musher's can be used regularly to condition your pet's paws and dry nose for a soft *boop*. Get it from Amazon for $12.75+ (available in three sizes). This is your dog telling you, "Gimme, gimme!" 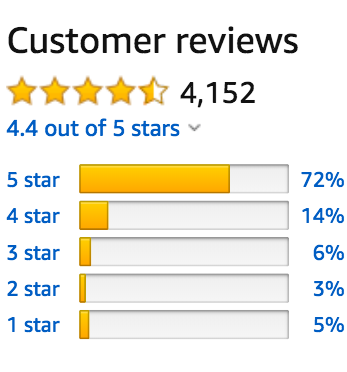 Some reviews in this post have been edited for length and/or clarity.